Obverse: Designed by Heinrich Wadere. Reverse. 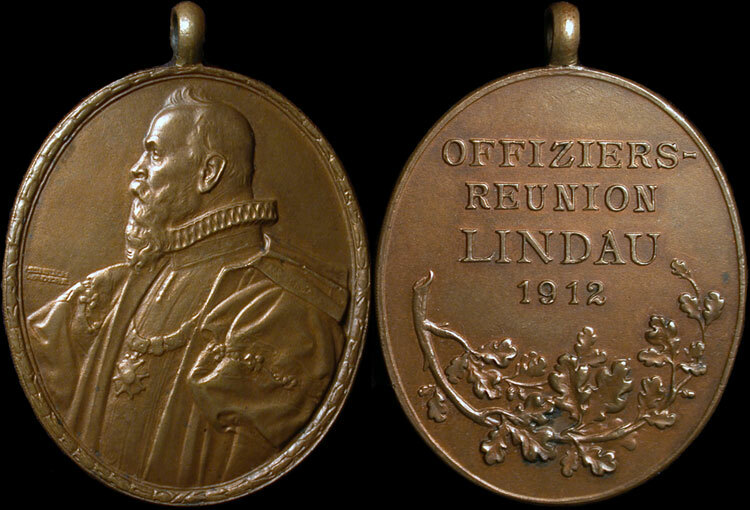 Legend: OFFIZIERS- / REUNION / LINDAU / 1912. This piece should be of interest to the advanced Goetz collector. Rarely offered in auction and with hammer results in excess of $600.